This belt was worn along with the Royal Crown and TOUISHOU (the ceremonial costume of the Kings, gifted by the Chinese emperor). 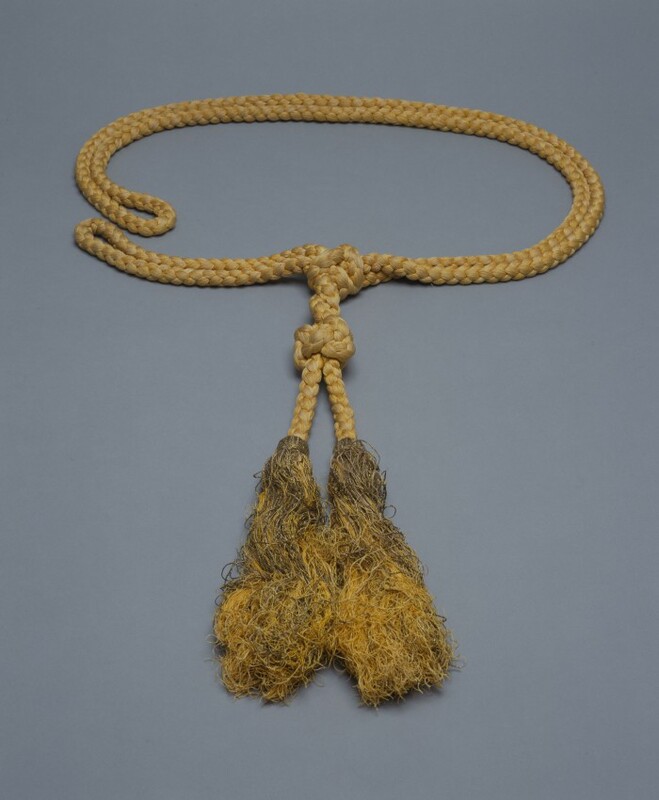 These silk braids were dyed with turmeric, and golden threads were used on the surfaces of fringes. The same belt was drawn on OGOE (portraits of the Kings of the Ryukyu Kingdom) from the time of that Sho Kei became the King of the Ryukyu Kingdom during the Qing Dynasty. 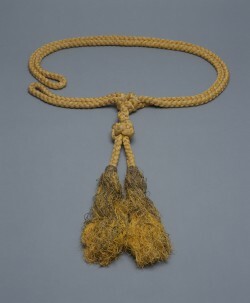 It is considered as a unique Ryukyuan style because it was not worn under the rules of costume during the Ming and Qing Dynasty.